The Royal College of Ophthalmologists champions excellence in the practice of ophthalmology – the medical and surgical management of conditions of the eye and visual system. They are the only professional membership body for medically qualified ophthalmologists and for those who are undergoing specialist training to become ophthalmologists. 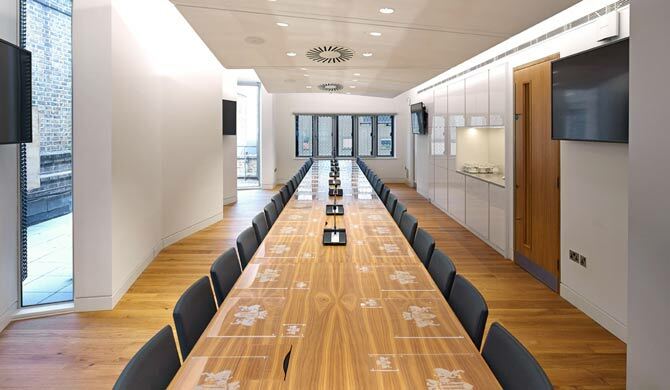 The project included a complete refurbishment of the aging College building to provide new, contemporary fit-for-purpose offices for its 23-30 staff, plus ancillary training facilities including seminar and laboratory spaces and a meeting room for 40 Council Members in a new pavilion at roof level. The building was particular constrained in relation to space for M&E plant and distribution of services and we worked collaboratively with the architect, Bennetts Associates, to find appropriate solutions. Our role involved carrying out system option assessments and detailed design selection for the mechanical, electrical and public health engineering. We continued our Client advisor and monitoring role throughout construction working closely with Knight Harwood, the project contractor, and Bennetts Associates.